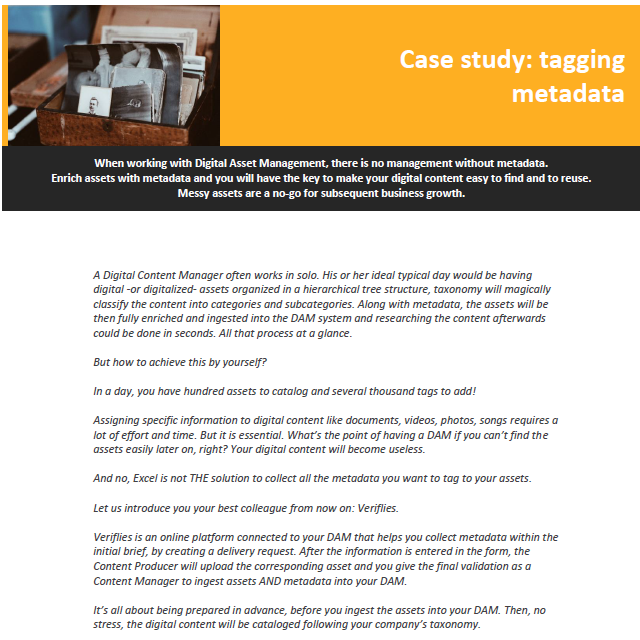 When working with Digital Asset Management, there is no management without metadata. Enrich assets with metadata and you will have the key to make your digital content easy to find and to reuse. Messy assets are a no-go for subsequent business growth.